The home of street food, The Food Truck Park is proudly launching Melbourne’s newest food truck pop up in the heart of the city! 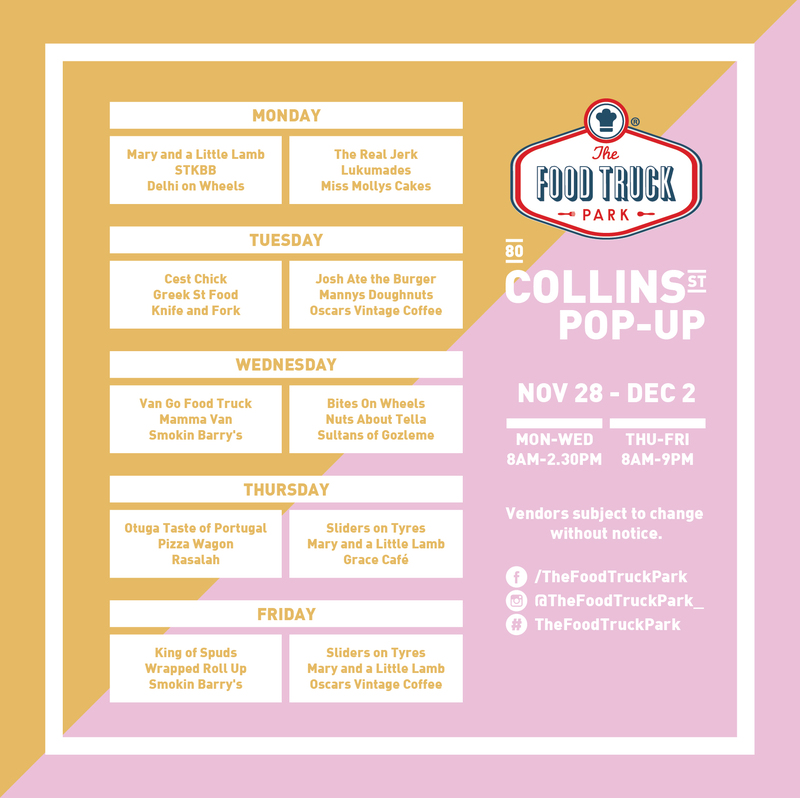 80 Collins Pop Up is the must see foodie destination with a brand new lineup of food trucks every day. Opening MONDAY 7TH of NOVEMBER there is no better place to meet friends, grab lunch and join the food truck movement. OPEN WEEKDAYS Monday to Friday. For a limited time only.